When August rolls around and store shelves are stocked with school supplies, I normally get really excited. There’s nothing like a fresh box of crayons, markers and the like. Picking up a new backpack, new clothes and new supplies for a fresh start is always fun. This year, I have a collection of favorite new items perfect for back to school that I would love to share with you. I received all of them to try out, so I know personally they are great products! Ok, the pressure is on for parents everywhere to get their kids phones. I know it, because I have four kids and I see their schoolmates. Everyone is getting them and I swear kids are getting younger and younger and getting nicer phones than I have! 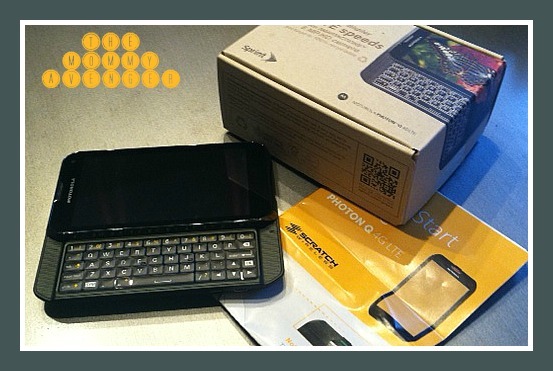 Getting a cell phone is a big commitment, for both the kids and the parents that are likely footing the bill. So, that is where this awesome service comes in. Scratch Wireless is incredible and brilliant. Purchase a phone from them, there are a few very affordable models available, and there are no contracts and no bills. What? Yeah, you heard me, no bills! Why? Because service is free! You can use Scratch Wireless by accessing wi-fi. Anywhere there is wi-fi, calls, texts, games, anything you could do on a cell phone, actually, can work–all for free! If you know you are going to be in an area where there isn’t a wi-fi connection, you can actually buy a pass for the day or even up to a month at extremely affordable rates–starting at $1.99! We tried out the phone and my kids love it! The android smartphone is up to date and can do everything they want and then some. I was blown away at how easy and simple this idea is and applaud Scratch Wireless for an awesome service to families everywhere! You can find out more by visiting their website. I am a child of the 1980’s. Oh, we had great stuff back in the day. I will admit I was a school supply junkie. It was all about my totally rad Trapper Keeper and the new Esprit bag that I would carry it in. Ah…fun times. I have been remiss, though, that my kids didn’t know just how epically awesome a vintage Trapper Keeper was. I can hear the velcro so clearly in my head now as I think of it. Well, Trapper Keepers not only looked cool, but they kept us organized and we all know that is a back to school essential. 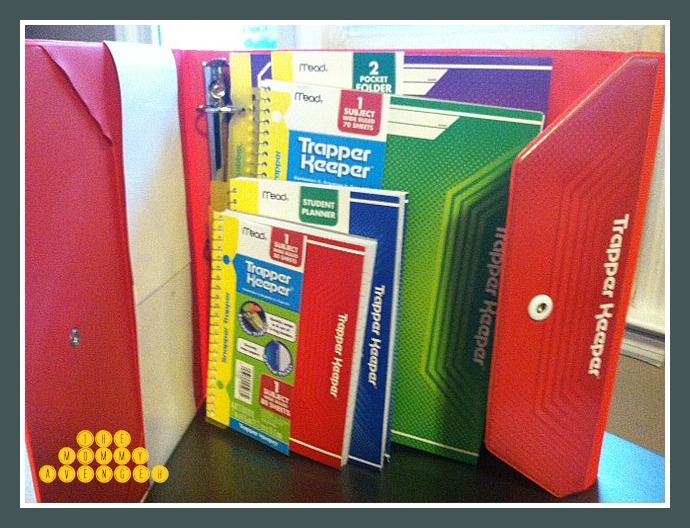 Mead has brought back my favorite school supply and Trapper Keepers are now back on the market, although they are new and improved for our kids to enjoy. You can load them up with other great Mead products like agenda books, small notebooks, one subject notebooks and divided tabs to keep your subjects in check. Lots of room for other notebooks and paper, too, in the 1.5 inch binder. They come in four colors and rather than the loud velcro closure, there is a very easy snap close. My kids have stocked up on these for the new school year and I am happy to pass on a childhood tradition. We are a family on the go. School, clubs, sports, music happen every day for one of our kids. In order to have our family be involved in so many things, we have to be organized. When three kids play the same sport and we need to keep their items organized so that they have the right equipment, we have to label items. Let’s face it–school supplies, sports equipment, water bottles, backpacks, hoodies–these items all add up and we don’t want to have to keep replacing them because someone grabbed them by mistake or they were left behind and no one knows who they belong to. If we want everything to make it back home, we have to label, but Mabel’s Labels has made this super easy for us to do now. I am a huge fan of Mabel’s Labels–such a great idea and this mom can use all the help she can get! Mabel’s Labels has a Back to School pack of awesome labels to make this job much easier for you. This means that you can put your own personalized labels on EVERYTHING and they will stay put. On top of being super functional, they are really great looking. You can pick different colors and icons and personalize up to 20 characters. Some different labels include allergy notifications, backpack tags, water bottle and lunchbox labels and so much more. I absolutely love Mabel’s Labels and I know you will, too! I recommend the ultimate back to school combo. See all the fantastic choices they offer at their site. Now, toothbrushes aren’t really something you think of getting for your back to school shopping. But, it’s essential to send your kids to school with super clean teeth and fresh smelling breath, right? If your house is anything like mine, it’s always a last minute rush to brush those pearly whites after eating breakfast, jamming your feet in your shoes, and running out the door to make the bus. Wouldn’t it be great if you knew that even though they probably aren’t spending as long of a time brushing as they should, the toothbrush is working extra hard to get the job done properly? Philips Sonicare toothbrushes are the perfect tool for this job, as they are 75% more effective than manual toothbrushes. Cleaner teeth for their health and keeping cavities away saves you some money, too! 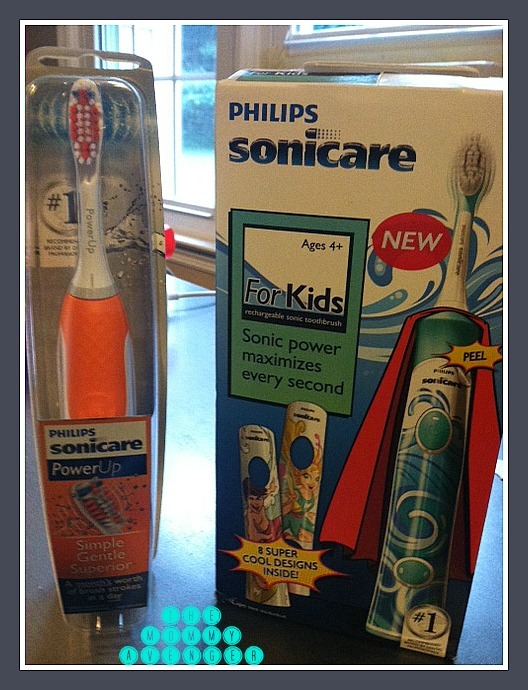 Philips Sonicare toothbrushes come in a couple different styles to make brushing more appealing to kids. For children ages 4 and up, Sonicare For Kids comes with 8 super cool customizable designs to make the toothbrush fun and their own. Great features include a KidTimer to train kids to brush their teeth longer, gradually, easy grip, high and low power modes, and a stabilized hand piece for making it easy to apply toothpaste. For older kids ages 12 and up, the Sonicare PowerUp gets the job done with a slightly more sophisticated and grown up look. Color changing bristles remind you to change out the brush when they have given all they’ve got. The handle is reusable and brush replacements are easily changed out. My kids love using their Philips Sonicare toothbrushes so much more than manual ones and don’t dread brushing their teeth, so I will count that as a mom victory.